Governor Charlie Baker in March. 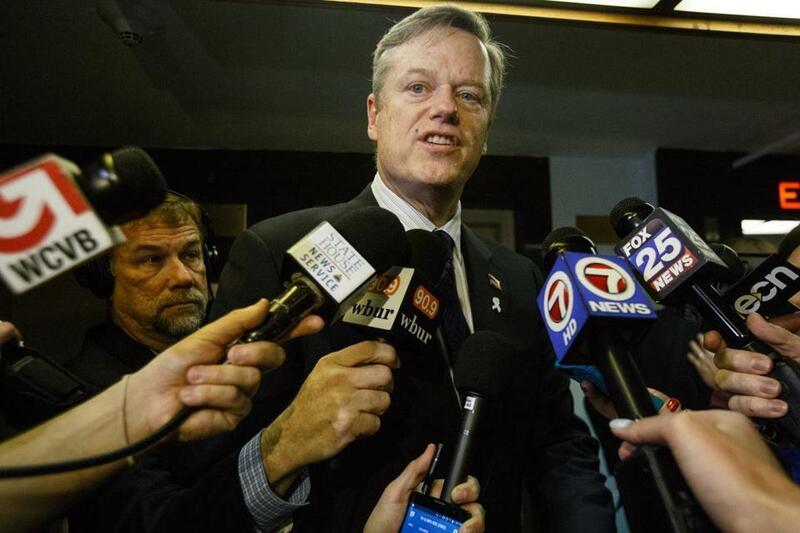 With unanimity and unusual swiftness, lawmakers Wednesday sent a bill strengthening Massachusetts’ feeble public records law to Governor Charlie Baker for his signature. His top spokeswoman did not say whether he would sign it, but her statement telegraphed support. And State House insiders see the robust bipartisan vote in favor of the legislation — a compromise between the Senate and the House — as forcing the Republican governor’s hand, despite worries from cities and towns that the bill would burden them with extra costs. The House voted Wednesday for the compromise 154-0, and the Senate voted 40-0. Baker can sign the bill into law, veto it, send it back to lawmakers with recommended changes, or do nothing. He must act by June 4, legislative aides said, or it becomes law. The legislation, unveiled Monday, would allow judges to force the state, cities, and towns to pay lawyers’ fees if a court found they inappropriately withheld public records. That, advocates say, will pressure government officials to fulfill public records requests by creating financial consequences for not complying with the law. The bill would limit the sometimes hefty fees that municipalities and the state charge for gathering and providing public information, such as government e-mails and payroll records. It would also require public-records point people at state agencies and municipalities and mandate that records be delivered to requestors digitally when available in that form. A top representative for cities and towns warned the legislation could have unintended consequences for communities. “We continue to raise concerns regarding the potential financial burden on cities and towns, and the incentive for excessive litigation,” said Geoffrey C. Beckwith, executive director of the Massachusetts Municipal Association. But legislative leaders cheered the bill’s enactment. And good government advocates said they expect Baker to sign it.